Update : we understand that creating your photography portfolio takes time and effort, that’s why we’re extending the giveaway for two more weeks. 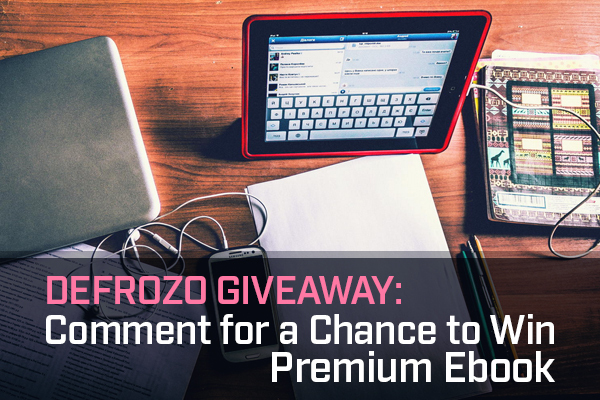 On September 17, we’ll announce three winners of our premium ebooks. Roll in! And since we have two entries at the moment, both of them are winners! Congrats, Julia and Ivan! We’ll get in touch with you by email shortly. Great news everyone! We’re starting a giveaway with which you have a chance to get one of Photodoto’s camera guides (normally priced at $9.99 each). Defrozo, our partners we have already told you about, are a new, awesome startup geared at both aspiring and pro photographers. Built by photogtraphers, Defrozo is an all-in-one platform that helps photographers better organize and market their business online, as well as save money with their feature-packed FREE plan. In fact, it’s a free alternative to subscription-based photo hosting services that will soon include a full-fledged CRM system (Client Relationship Management). Too useful to overlook! So don’t waste your time, read the details below and enter the contest! We set up a partnership with Defrozo specifically to give our readers a professional and cost-effective option to create a beautiful photography website, promote their work and sell their work more efficiently. Defrozo is being developed to help you handle the business side of your photography job from A to Z.
Defrozo’s software is developed for the easiest and fastest workflow possible, utilizing Drag-and-Drop in every tool and featuring a responsive, mobile-ready admin panel. Integrating tools for client and photo management, it aims at being the only platform a photographer will need to run and market his business, no matter what point it’s at. While not all features announced on Defrozo are available to date, the platform is growing at a fast pace with updates released bi-weekly. For photographers that are just starting their career, it’s a great opportunity to jump aboard and grow together; for established businesses, it’s a tool to watch over. You may read more about Defrozo’s features and advantages on their official website. Three winners will each get a copy of From Newbie to a Pro: 10 Essential Camera Settings You Should Know Letter Perfect Canon or Nikon (of your choice) with a 100% discount. That’s a $9.99 value for FREE. Register your account with Defrozo.com, and create your site to see how easy it is. Leave a comment to this post, including a link to your brand new Defrozo website and your feedback regarding the tool. Now you’re a registered participant of this giveaway. Our editorial team will choose winners based on the comment’s quality (insightful feedback will have more chances than “cool site” or “meh..”) and the efforts you put in to make your Defrozo site stand out from the rest. Don’t be afraid to criticize – the guys at Defrozo encourage any suggestions and criticism. That’s the only way to make something awesome, right? Exactly in a week from now (September 3, 2014), when you get back to Photodoto, we will announce the names of three lucky winners (who knows, maybe you’ll be one of them!). Obviously, not all the participants can win one of the guides, but we are happy to give you a 50%-discount code for 99 Posing Tips Guide Ebook from our library! In case you want to get this product, during the giveaway you can get it at half-price! This promo-code is valid till 14th of September, 2014. So, till this time, you can buy 99 Posing Tips Guide Ebook at 50% off. Hopefully, this cool giveaway will inspire you for new photography and design achievements! 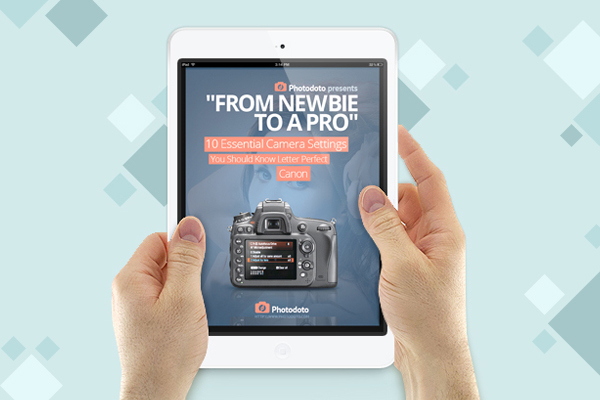 Along with a chance at the ebooks, you may create a photography portfolio for free. We wish you good luck! P.S. If you’re not interested in the products we’re giving out, you may create a website with Defrozo without entering the giveaway. It’s all up to you!